The four portraits on the Republican Communist Network banner provide good examples of the historical tradition we come from. These people have been chosen as representative of many others, whose names have often gone unrecorded, yet who have contributed to the struggle for human emancipation, liberation and self-determination. Each individual highlights different aspects of our shared struggle. Eleanor Marx was Karl Marx’s younger daughter. She worked closely with Frederick Engels after her father’s death. Engels was among the first communists to highlight the need for a new ‘internationalism from below’ approach to unite the peoples and workers of the four nations – England, Ireland, Scotland and Wales. Eleanor put this into practice, campaigning in Ireland, Scotland and Wales, as well as in England. She was to the forefront of the New Union movement, launched by the Matchgirls’ Strike in 1888. Eleanor helped to organise the Women’s Trade Union League. She was prominent in the London Dockers’ and Gasworkers’ Strikes in 1889. London drew its workforce from all four nations of the UK and the wider world. The New Unions were built upon the earlier ‘internationalism from below’ land and labour struggles, triggered by the Irish Land War after 1879. Eleanor campaigned in support of Jewish migrant workers in London’s East End. 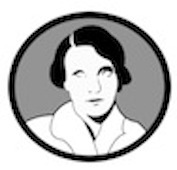 She was a member of the Social Democratic Federation and the Socialist League, whilst her partner, Edward Aveling, joined the Irish Socialist Republican Party. Eleanor believed in the role of art as an expression of socialist culture and as an aid to women’s liberation and emancipation. 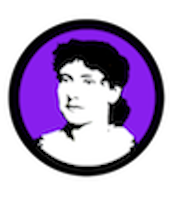 The colour purple, behind Eleanor Marx’s portrait, has been chosen because it represents women’s emancipation and liberation. James Connolly was born in Edinburgh’s ‘Little Ireland’. He was the third son of an Irish migrant family, who left County Monaghan after the ‘Great Famine’. He began work at the age of 10, joined the British army at 14, but returned to Edinburgh, where he took work as a manure carter. Connolly was a member successively of the Socialist League in Dundee, the Scottish Socialist Federation and the Social Democratic Federation in Edinburgh. He was also a member of the Scottish Labour Party and then the Independent Labour Party, before losing his job for political campaigning in Edinburgh. 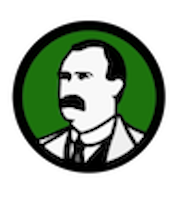 Connolly left for Dublin in 1896 and formed the Irish Socialist Republican Party. Connolly took Michael Davitt’s earlier social republican ‘internationalism from below’ and developed it on socialist republican lines. He was an indefatigable socialist, labour and trade union organiser, in Scotland, Ireland and the USA. When Connolly returned to Ireland in 1910, he helped to organise the Irish Transport and General Workers Union, and helped the formation of the Irish Labour Party in 1912. He worked closely in Belfast with Winifred Carney, the organiser of the Irish Women Workers Union. He helped to create one of the first workers’ militias, the Irish Citizen Army, during the 1913 Dublin Lock-Out. Connolly led the ICA in the 1916 Easter Rising, which triggered the 1916-21 International Revolutionary Wave. For his defiance of British imperialism, Connolly was executed in Kilmainham Jail by the UK state. Connolly also appreciated the importance of culture, particularly song, in working class struggle. The colour green, behind James Connolly’s portrait, has been chosen for its association with Ireland, a connection that has contributed so much to Scotland. Green also represents the bountiful land found in Scotland. John Maclean was born in Pollokshaws, then on the outskirts of Glasgow. He was the son of Highland migrants. He became a school teacher. Maclean joined the Social Democratic Federation (later the British Socialist Party). He was an active member of the Cooperative Movement. Maclean lost his job and was imprisoned for his opposition to the First World War. He was elected in his absence to the chair of the Third All-Russian Congress of Soviets in 1918, and became the Bolshevik consul for Glasgow, in recognition of his revolutionary role and the leading position of Red Clydeside. After witnessing the impact of the struggle for Ireland’s freedom, Maclean conducted a vigorous campaign of solidarity. He followed Connolly in advocating ‘a break-up of the UK and British Empire road to world communism’, rather than a ‘British road to socialism’. He formed the Scottish Workers Republican Party, shortly before his early death. This was due to the effect of prolonged mistreatment in prison and overwork. Maclean placed great emphasis on the role of socialist education and campaigned for an independent Scottish Labour College. 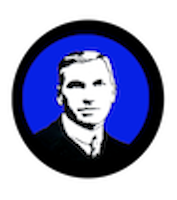 The colour blue, behind John Maclean’s portrait, has been chosen for its association with Scotland. It was also the colour found on the banner of Scotland’s first republican movement, the Cameronians, whose main base lay in Galloway and the Borders. Blue also represents the seas and skies of Scotland. Mary Brooksbank (nee Soutar) was one of ten children born in great poverty in Aberdeen. Her dockworker father was politically involved with James Connolly. The family moved to Dundee, where at the age of 14, she began work in as a shifter in a jute mill in Lochee. Mary became an active spokesperson for the linen workers and for the wider working class of the city. During the First World War, she joined the militant Jute and Flax Workers Union. She became a socialist and was arrested on several occasions for anti-war activity. She founded the Working Women Guild to campaign for better health and social services in Dundee. Mary joined and became a leading activist in the Communist Party. However, she was expelled for her criticism of Stalin and her opposition to a ‘British road to socialism’. She looked instead to Scotland’s revolutionary tradition beginning with William Wallace. She remained a Scottish internationalist. Mary appreciated the importance of poetry and song in the working class movement and made her own contributions, including the well-known Jute Mill Song. Its words became the first, from either a woman or a communist, to appear on the walls of the new Scottish Parliament. The colour silvery grey, behind Mary Brooksbank, has been chosen for its association with the machinery of industrial Scotland. It also represents the silvery Tay, which flows past Dundee. Some claim Dundee to have been a more militant centre of anti-capitalist opposition than Glasgow and Red Clydeside. All four portraits and their background colours are subsumed within a red banner. Red was found in the first republican flag in France, representing brotherhood and later sisterhood too. Workers struggling for a social republic in the 1847-9 International Revolutionary Wave flew a red banner. From 1871 the red flag became the international emblem of the working class in our struggle for a global commune after it had been held high during the Paris Commune.